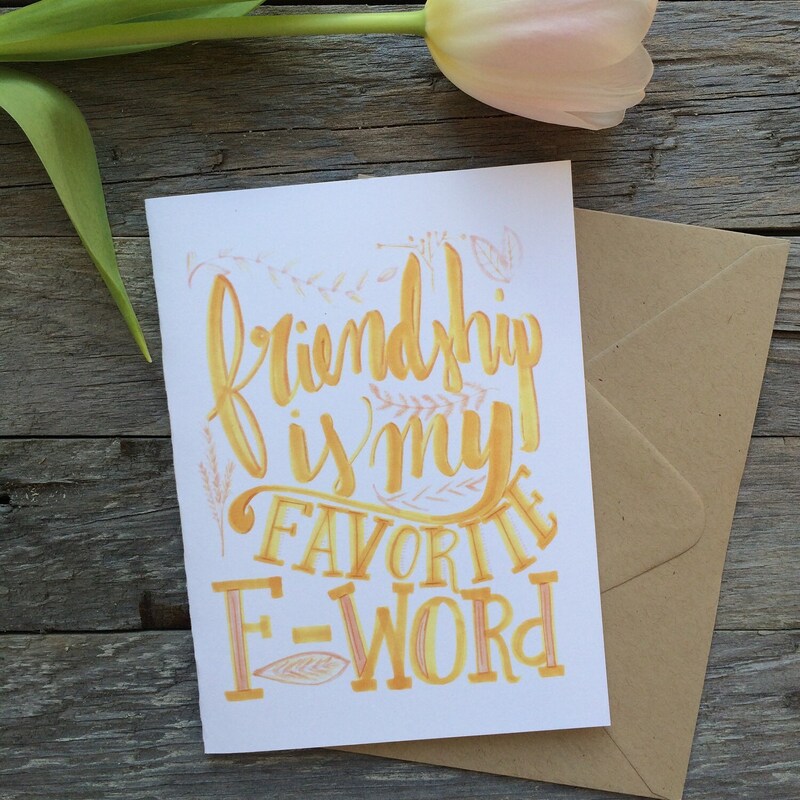 Friendship is my favorite F word (well, ONE of them anyway!)! 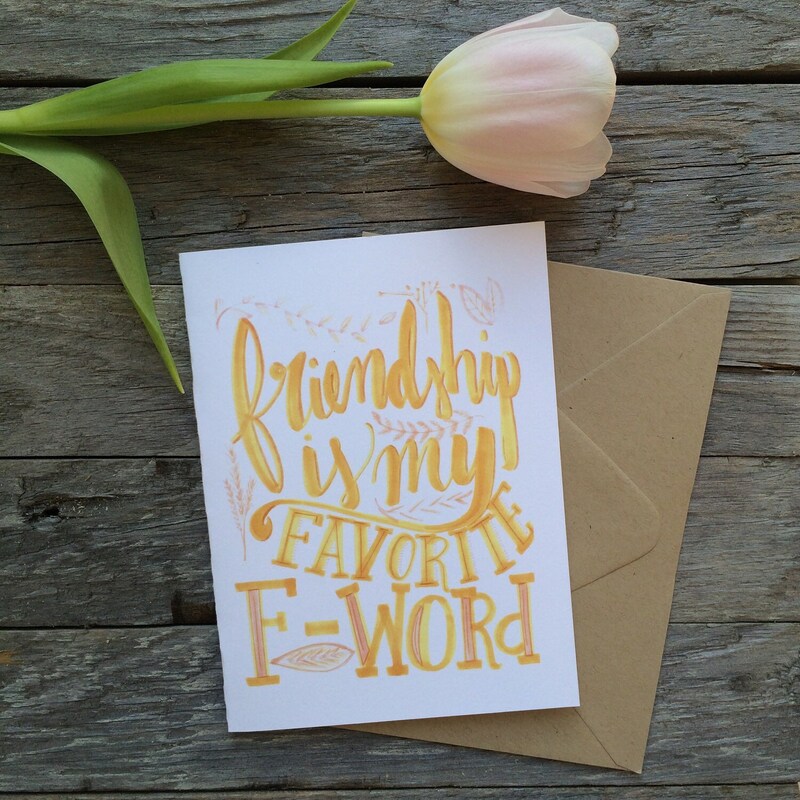 Send your best friend this cute and silly hand lettered card to let her know just how much her friendship means to you. The perfect 'just because' card to let her know you're thinking of her. Great for ladies who participate in snail mail swaps or the perfect silly bridesmaid card! Professionally printed at my local print shop on luxe heavyweight card stock and includes hand stamped kraft envelope. A6 sized and blank inside.